BT owned ISP PlusNet will start to offer mobile SIM only contracts from the end of this month. The Sheffield-based service provider is basically taking over LIFE Mobile, giving its SIM only plans a bit of a shake up, and adding 4G speeds. Existing customers of LIFE Mobile have been promised a 'seamless' switchover. A bonus for customers should be the upgrade of their value SIM only plans which were previously sold as topping out at 3G speeds. Those who keep up to date with telecoms news will be well aware of BT's £12.5bn takeover of EE. BT owns PlusNet and will convert it to a quad play operation with broadband, phone, mobile, and TV products. LIFE mobile has had a short but bumpy history. It started out as a a Phones4u MVNO operating on the EE network in January 2013 but P4u went bust the following year. EE purchased LIFE from administrators and it was then known as 'EE Limited trading as LIFE Mobile' but offered only value-focussed 3G contracts, so it didn't cannibalise EE's 4G business. Now LIFE Mobile is part of BT/PlusNet and being prepared for this rebrand. There's a FAQ page on the LIFE Mobile site concerning the deal. If you are becoming a PlusNet customer this way then it looks like you won't necessarily be upgraded to 4G connectivity unless you instigate a change. 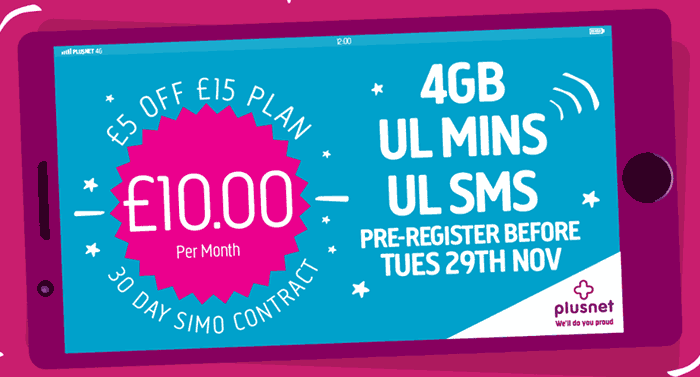 That shouldn't be a major upheaval, as it looks like LIFE Mobile specialised in 30-day contracts. 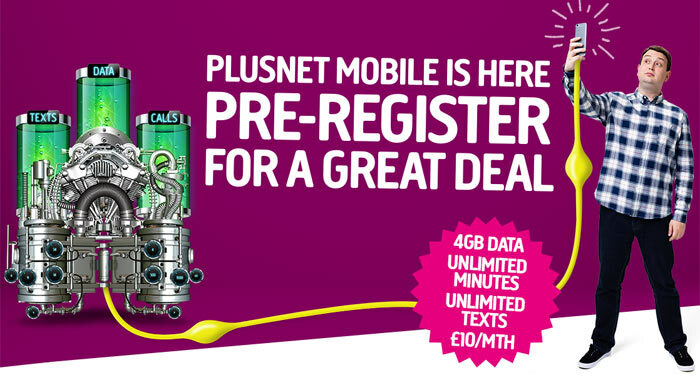 If you are in the market for a new contract then you can see what PlusNet Mobile will offer on the preview page here. It is showcasing a 'launch offer' of a 30 day rolling contract offering unlimited calls and texts plus 4GB of 4G data for £10pm (would usually cost £15pm, it says). However there are also contracts from £5. PlusNet ISP customers will get a bonus special offer of double data on all standard plans (but not the launch offer plan). Great news. As someone who can only get EE reception and fibre broadband at my house this will hopefully give me great deals switching between the two each time. I managed to get 42Mb fibre with phone line and 2gb sim for ~£15 a month by switching this year. Hopefully I can just flip flop all at BT expense! I'm currently on Giffgaff 30 day contract which offers 2Gb / 100 min / unlimited text for £10 a month on a 30 day contract. I think I might bite and grab this pre-order offer as it's double the data and unlimited minutes and working on EE's 4G network, instead of O2 so will be more reliable. Are those “any network” minutes or just Plusnet to Plusnet, or Plusnet to EE and EE MVNOs? It's not that clear… it seems VERY cheap if those are “any network” minutes. I'd rather see somebody enter the market that doesn't overcontend their bandwidth. Mobile “broadband” is a joke in the UK. I don't know about being extremely cheap. I negotiated my Three contract down to £12pm for 4GB data with unlimited calls and texts (and I think they're offering that deal now anyway).